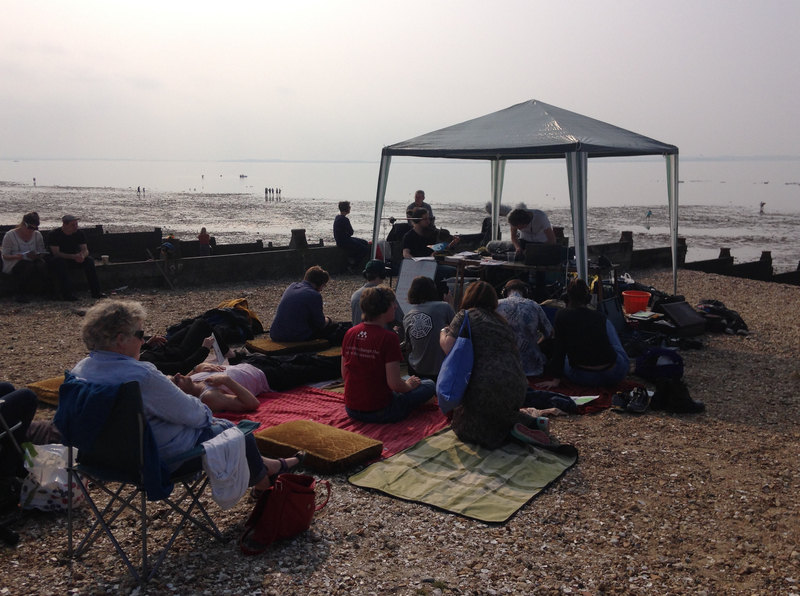 Explores the Hidden Sounds of Whitstable. 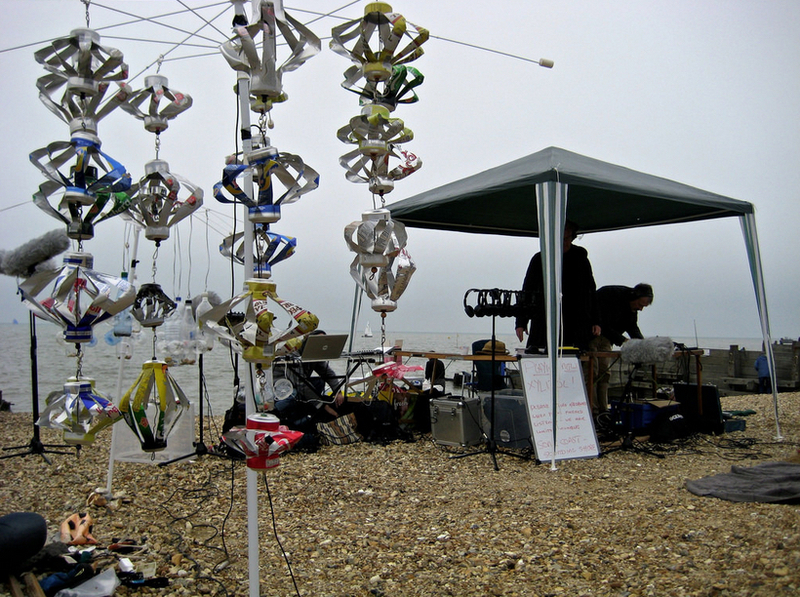 Underwater sound from the harbour, cash registers, LED lighting and power cables are all brought together to create an intriguing sonic map of Whitstable. Hydrophone recordings taken in the Medway – live laptop treatments. Performance using found sounds sourced from the location itself. Nemeton will be exploring refuse washed up on beach as a sound source. Tansy and Iris will continue their Lab of Sonic Possibilities with a performance for microphone and beach. The Lab explores locations through listening and sound related activities, uncovering the different perspectives on site specificity this reveals. Nicholas has recently completed an artist residency in Aldeburgh. He will be using a MAX patch and a laptop to process the field recordings he made along the coastline. These will be combined with fragments of noise and melody. Greg will be jumping into the sea with his mobile phone. Live mixing and treatments of coastal recordings. Ableton Live software, laptop and field recordings. Harmonium and beachcombing. No electronics! Custom built software and field recording. Field recordings, cassette playback, looping pedals and voice. Sea, beach, violin and electronics.